Amazon's Alexa voice assistant is coming to a host of new devices soon, from improvements on our favorite Echo speakers to all-new devices that let you use Alexa in the car or the kitchen. If you're planning on adding to your smart home setup, start by browsing Amazon's latest Alexa lineup. Most of them are available for pre-order now, and ship in October or November — perfect whether you're getting a gift for yourself or for someone else. First up are improvements to some classic Alexa devices. 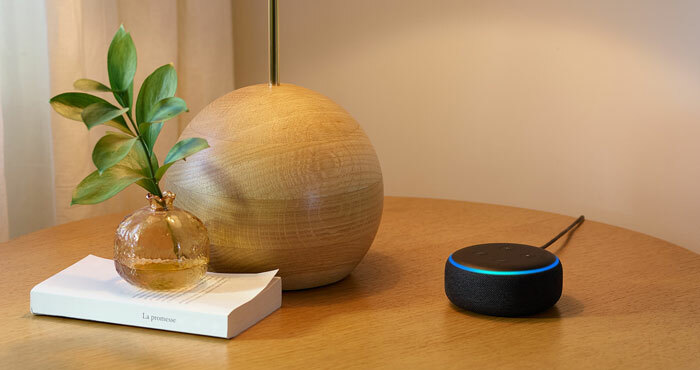 The budget-friendly Echo Dot ($49.99) has a fresh fabric-covered look that makes it look less like a hockey puck and more like a speaker — and with it comes better clearer sound. It's not an amazing feature set, but it offers a solid performance improvement for the same price. However, if you're looking to something to control your smart home, you'll need to upgrade from the Dot. The Echo Plus ($149.99) is an Echo speaker with an integrated smart home hub and comes bundled with a Philips Hue bulb. Its update also has improved sound quality, as well as a temperature sensor that can trigger smart home controls and local voice controls that let you use it to control your smart home devices even when it isn't connected to the internet. The latest version of the Echo Show ($229.99), an Echo with a display that's designed for watching videos or making calls, also has a built-in smart home hub now. 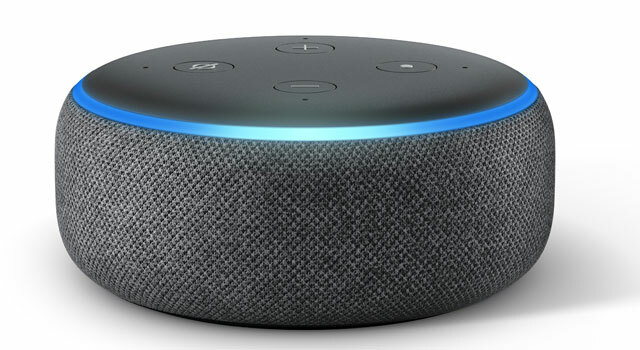 The tablet-like device has improved sound like the rest of the Echo lineup as well a larger 10-inch screen and now has the ability to make Skype calls and more streaming video options, including Hulu and NBC. 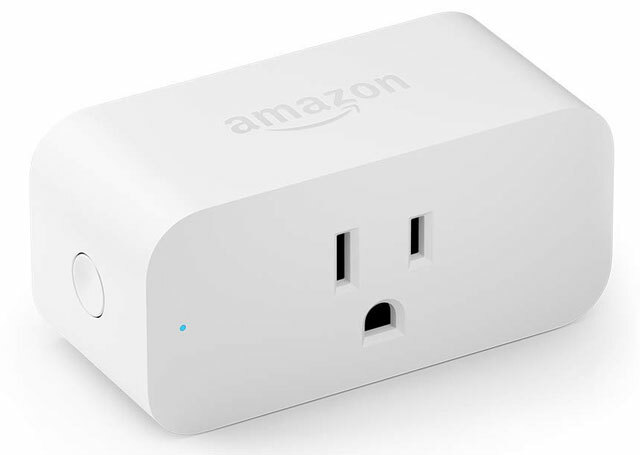 And while it isn't a speaker, Amazon has a new Smart Plug ($24.99) which you can plug any electronics into and then control them with your Echo devices. While smart plugs don't sound particularly exciting, they're crucial to automating your smart home, and they'll work nicely with any of these Echo speakers. You can pre-order all of these now, and they'll ship on October 11. Alexa was already a handy kitchen companion that made it easy to set timers, convert measurements or look up recipes even when your hands were covered in flour. However, now Alexa is coming to your microwave with the AmazonBasics Microwave ($59.99). It has dozens of quick-cook presets, so all you have to do is put your food in and tell Alexa what to do. 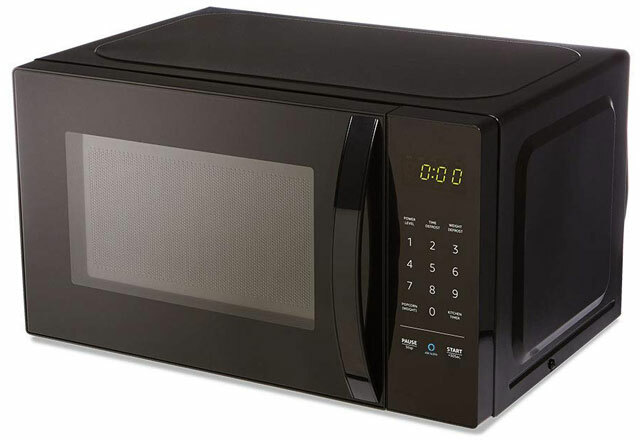 Though Alexa isn't necessarily a must-have microwave feature, it's a decent microwave for a decent price — and if you're in the market, there's no reason not to take advantage of Alexa voice controls on this AmazonBasics model. It ships on November 14. The Echo Wall Clock ($29.99) is another gadget that isn't necessarily a must-have but is a definite convenience for anyone who frequently uses Alexa in the kitchen. It's a clock, but beyond being a simple timepiece it connects to your existing Alexa devices to show timers you've set. Alexa is also coming to your car with Echo Auto, which $24.99 right now but will go up to $49.99 later. 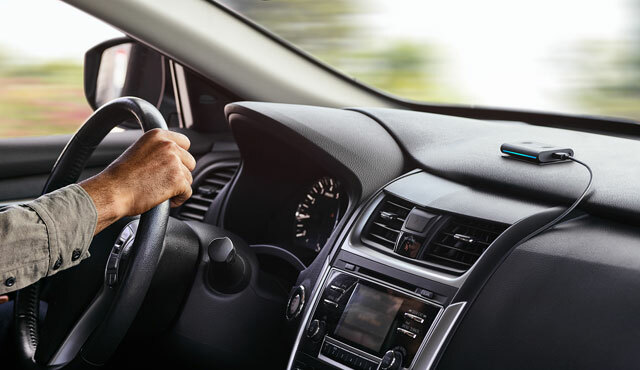 This slim device lives on your car's dashboard and connects to Alexa through your phone to play over your car speakers to access any Alexa features on the go, from navigation to streaming music. If you don't need any new smart speakers, maybe you're interested in improving the sound (or smarts) of your current stereo setup. The new Echo Sub ($129.99) is a stand-alone subwoofer that connects to your Echo to provide more powerful base than the Echo alone offers — turning your Echo into a proper stereo system. If you don't have the companion Echo speakers, you can also order it with two Echos for $249.97 or with two Echo Pluses for $329.97. The Echo Sub will ship on October 11. 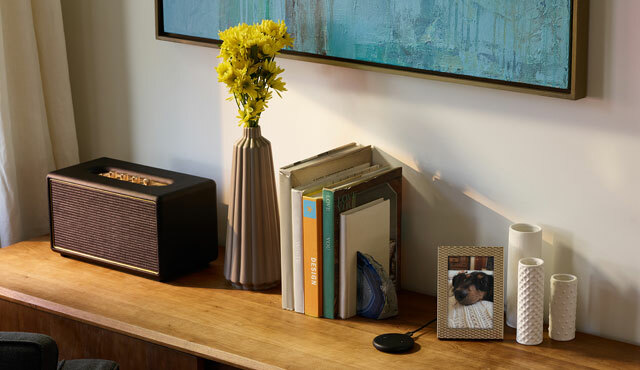 If you have an existing stereo system that you'd simply like to control, the Echo Link ($199.99) connects to your receiver or amplifier to turnt your stereo into a smart stereo with streaming music and Alexa control. The basic model simply adds smart features, but you can also buy the Echo Link Amp ($299.99) to add smart features and an amplifier to your setup. There's no pre-order or ship date for these devices yet, but you can sign up to be notified when they're available. The downside to the Echo Link is that it doesn't have any microphones, so to control it you'll have to have an existing Echo speaker. But any existing Alexa speaker you have will do, but if you don't have one expect to spend another $50 to make use of the Link. Another option to smarten up your stereo is the Echo Input ($34.99), which plugs into any speakers you have (via a 3.5mm audio jack) to add voice controls and streaming music. It will turn any of your existing speakers into a smart, Alexa-powered device. Amazon has already dipped its toes into the smart home security market with the Amazon Cloud Cam, Blink indoor and outdoor cameras, and Ring video doorbells and cameras. But now Amazon is harnessing the power of your Alexa-powered devices to create a more comprehensive security system with the Alexa Guard feature. This integrates all of your Echo devices, Ring devices more to provide whole-home monitoring. When you leave the house, your Echo devices can listen for anything amiss, like the sound of breaking glass, smoke detectors, and more. If your Echos hear anything, they'll record it and send you a clip so you can check for anything amiss at home. Just tell Alexa you're leaving the house and it will automatically start monitoring. It can also work with your smart lights to switch the lights on and off automatically based on your usual routines to make the house look lived in to deter theft. These features are coming to Alexa later this year for free — all you'll need is an existing set of Echo speakers to use it.